On a lazy Sunday morning, the beating of a large drum came down our little road. The neighborhood matsuri (festival) parade was making its way to the temple to deliver the shrine. Unfortunately, I couldn't get the video of them carrying the shrine in uniform rhythm to load. Maybe next time. The weather has finally changed, thanks to a typhoon off the coast, so we are no longer in sweltering heat. We tried to motivate for a hike outside the city, but we woke up a little too late. School is wearing us out. The baby is not even here yet and he/she wakes me up most nights. Last night was cook-your-own yakinikku and a screening of Iron Man 2. It takes about 3 takes for me to get through a movie these days. Despite the cute little "akachan" badge on my purse, no one gives up their seat on the train for me. No food, except alcohol and cigarettes, is off limits here. Caffeine in moderation is ok. Sushi? Of course. Soft cheese...well, they don't really understand cheese anyway. People look at me sideways for still riding my bike. I'm treated with very delicate words and hands by Japanese women: "oh, please be so careful" are usually the first words out of their mouths. Pregnancy is a very special time here. Prenatal vitamins are not regularly used because it is assumed that the Japanese diet is already healthy and varied enough. I get an ultrasound at every check up. I'm currently 19 weeks and have had 3 ultrasounds. Japanese women are strictly discouraged from gaining more than 7 kilos (about 15 pounds). My doctor has told me to gain about 12 kilos (about 25 pounds) because of my height, and, as he says, he knows better. Epidurals are not, by default, done in Japan. Smaller babies = less painful natural births. The government pays up to $85 for each of my prenatal checkups. My insurance is *$#%. 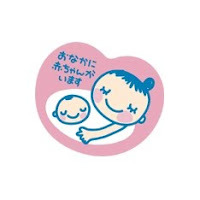 The "safe" mark for a pregnancy in Japan is the 5 month, whereas in America, you are considered in the clear after 3 months. In Japan, you are considered pregnant for 10 months, not 9. It seems to make more sense, really: 40 weeks / 4 weeks per month = 10 months. In the US, they count some months as having 5. The lunar calendar changes things a bit. Women are discouraged from making noise during labor. A friend of mine was repeatedly asked to quiet down so she would not disturb the other people in the hospital.